PowerDirector bietet umfassende Werkzeuge für hochqualitative Videoproduktionen mit einfach zu bedienenden Funktionen. 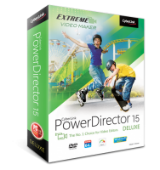 PowerDirector 15 LE war am 9. Februar 2018! als Giveaway verfügbar! PowerDirector bietet umfassende Werkzeuge für hochqualitative Videoproduktionen mit einfach zu bedienenden Funktionen. Der innovative MultiCam Designer unterstützt bis zu vier Kameras und ermöglicht somit das gleichzeitige Bearbeiten von Dateien von mehreren Geräten. Darüber hinaus beinhaltet das Tool einen Themen-Designer, welcher das Erstellen von perfekten 3D animierten Slideshow-Videos ermöglicht. Videobearbeitungstools: Basic Tools (Trimmen, Schneiden, Untertitel, Übergänge, PiP, Chroma Key, MagicStyle, Slideshow). Das Programm taugt nicht mal was in der Vollversion. Holt euch DaVinciResolve oder HitfilmExpress. Die sind kostenlos und tausendmal besser. This is PowerDirector 15 LE, as in Limited Edition, and limited it is! I would recommend that you read carefully in the presentation what this offer includes before downloading, it might spare you some disappointment. Excuse my language, but yours is a stupid comparison. Many other developers, Ashampoo being one of them, are generous enough to offer here for free full older versions to allow their prospective customers to try them and get familiar with their programs, so that they eventually buy a newer, improved versions, if they like the program. Some developers are even more generous, like Teorex (yesterday's giveaway of PhotoScissors being an example), who offer their software for free in order for us to test and learn about their programs, or to buy a lifetime licence. Terry I, Excuse my language, but yours is a stupid comparison. Many other developers, Ashampoo being one of them, are generous enough to offer here for free full older versions to allow their prospective customers to try them and get familiar with their programs, so that they eventually buy a newer, improved versions, if they like the program. Some developers are even more generous, like Teorex (yesterday's giveaway of PhotoScissors being an example), who offer their software for free in order for us to test and learn about their programs, or to buy a lifetime licence. Terry I, what has your comment got to do with giveawayoftheday.com? READ THE TOP OF THIS PAGE! 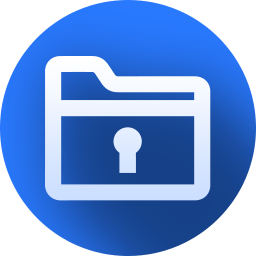 "Every day we offer FREE licensed software you’d have to buy otherwise." So practically if you likened it to a Jaguar dealership promotion that for 24 hours you could get a Jaguar for free that you would otherwise have to pay for... but instead of getting a retail Jaguar for free you were given a cut down clay model of a Jaguar car or a not for retail cut down incomplete old prototype Jaguar and wonder that people might feel deceived! Terry I, what has your comment got to do with giveawayoftheday.com? READ THE TOP OF THIS PAGE! "Every day we offer FREE licensed software you’d have to buy otherwise." So practically if you likened it to a Jaguar dealership promotion that for 24 hours you could get a Jaguar for free that you would otherwise have to pay for... but instead of getting a retail Jaguar for free you were given a cut down clay model of a Jaguar car or a not for retail cut down incomplete old prototype Jaguar and wonder that people might feel deceived! Even after having this program on my computer for about six months i cannot say anything about it because everything i try to do its always there "Your version of Power Director doesn't support this feature " , i tried to import a VOB file got the same message so i have no idea if buying the full version will do the job or not , at every click you get this message so one is never able to fully evaluate this program thus i can never purchase it or recommend it to anyone , their trial concept is faulty much too much do not work , i bought corel video studio instead . I think it's a limited version ..